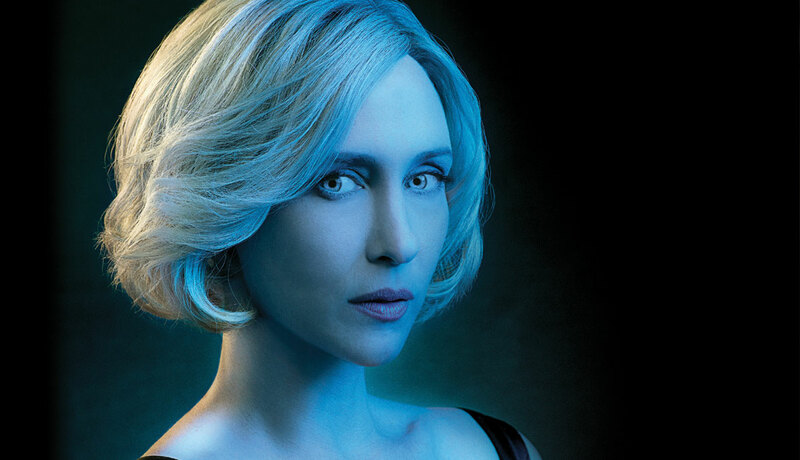 A&E’s Bates Motel Season 2 TV series premieres this upcoming March 3, 2014 at 9 PM ET/PT. 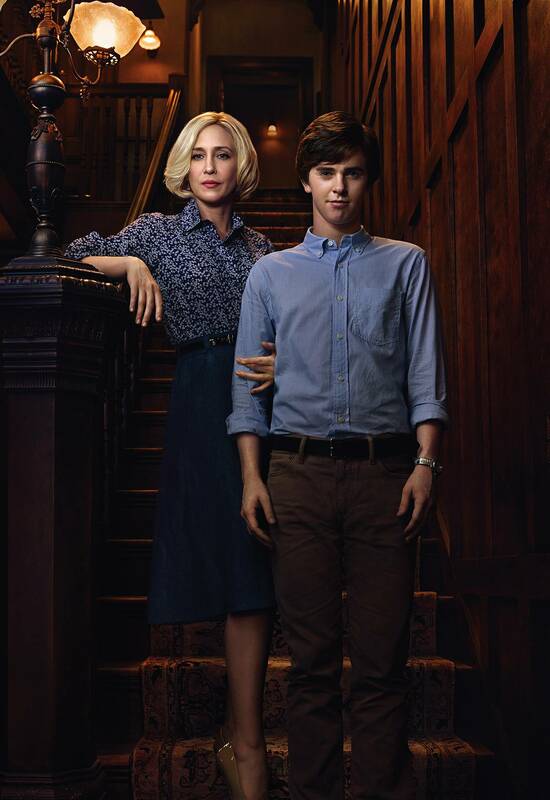 We now have 5 new promo photos to whet our Norman Bates (Freddie Highmore) and Norma Bates (Vera Farmiga) appetites. 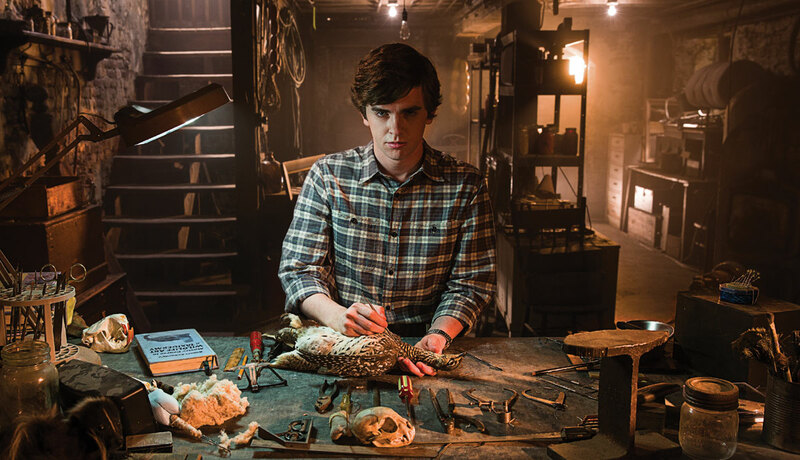 The photos include the standard promo pics that you will expect but there is one with Norman Bates where he is perfecting his Taxidermy skills. You have to see said image and do not forget to drop a comment. 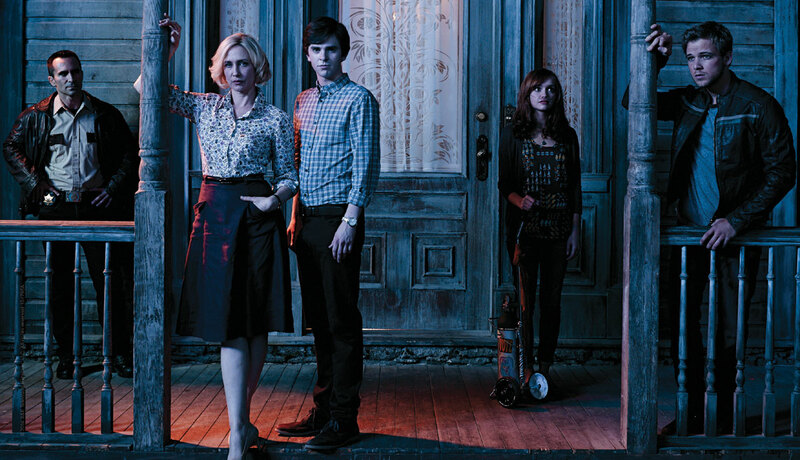 A&E Network premieres season two of the critically acclaimed original drama series "Bates Motel," starring Vera Farmiga in her Emmy-nominated role as Norma Bates and Freddie Highmore as Norman. The series premieres Monday, March 3 at 9 PM ET/PT. In season two of "Bates Motel," executive producers Carlton Cuse ("Lost") and Kerry Ehrin ("Friday Night Lights") dig deeper into the twisted world of the Bates family. Picking up from last season, Norman (Freddie Highmore) is fixating on Miss Watson’s death while Norma’s mysterious past starts to haunt the family with the introduction of her brother. Meanwhile, Norman’s brother Dylan, (Max Thieriot), gets more entrenched in the familial drug war that fuels White Pine Bay and finds himself right in the middle of the danger as Bradley (Nicola Peltz), who remains on the hunt to uncover her father’s killer, is driven to precarious extremes. Sheriff Romero (Nestor Carbonell), is caught up on all fronts as everything in town escalates and Emma (Olivia Cooke) complicates her relationship with Norman as the duo explore new love interests, bringing new and old characters along for the ride. Guest stars checking into "Bates Motel" throughout the new season are Michael Vartan ("HawthoRne," "Alias"), Kathleen Robertson ("Boss") Paloma Kwiatkowski ( Percy Jackson: Sea of Monsters), Rebecca Creskoff ("The Practice," "Hung"), Kenny Johnson ("Sons of Anarchy"), Michael Eklund ( 88 Minutes, "Supernatural") and Michael O’Neill ("Dallas Buyers Club," "Grey’s Anatomy," "The West Wing"). 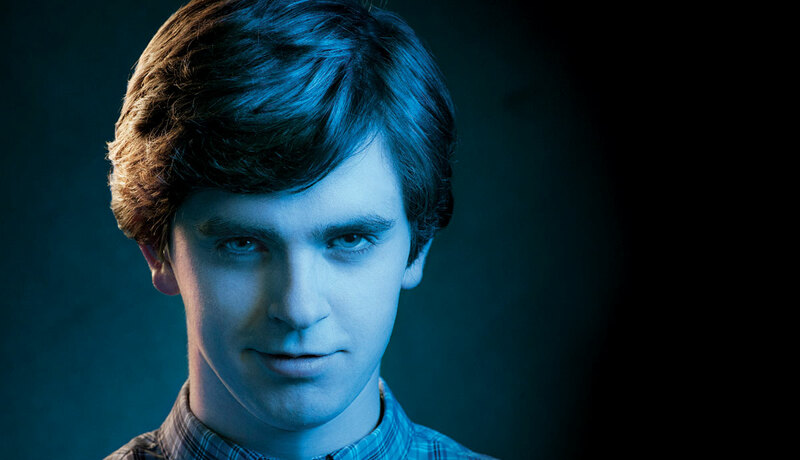 Official Synopsis: "Bates Motel" is a contemporary prequel to the genre-defining film "Psycho," and gives a portrayal of how Norman Bates' (Freddie Highmore) psyche unravels through his teenage years. Fans discover the dark, twisted backstory of Norman Bates and how deeply intricate his relationship with his mother, Norma (Vera Farmiga), truly is.